When faced with adversity and hardship, few would think to organise a festival - but that is exactly what the city of Bacolod in Negros Occidental, the Philippines did in 1980. Today it is the most colourful festival in Philippines. 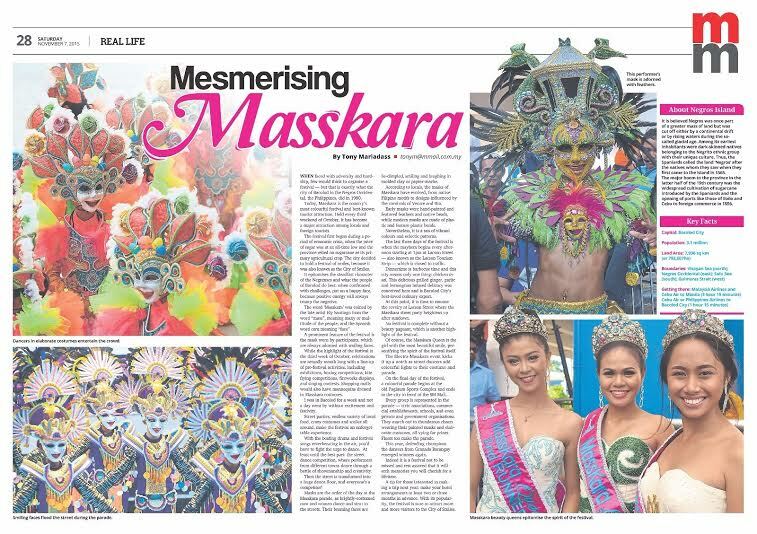 Held every third weekend of October, Masskara has now become a major national attraction and has gained popularity both at home and aboard. The word ‘Masskara’ was coined by the late artist Ely Santiago from the word “mass”, meaning many or multitude of the people, and the Spanish word ‘cara’ meaning “face”. A prominent feature of the festival is the feature mask worn by participants. These are always adorned with smiling faces. Masskara thus a multitude of smiling faces. The smiling face which is the primary symbol of the Festival represent the positive outlook in life that despite all the distress and difficulties. 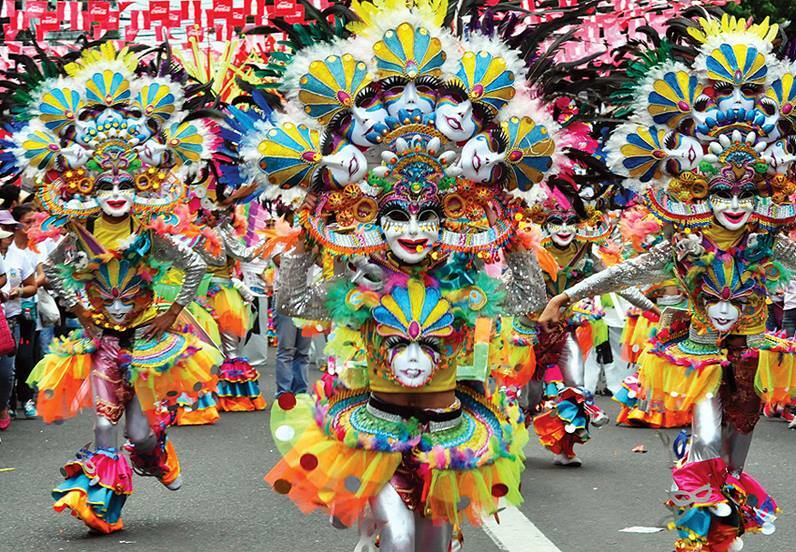 Truly Masskara Festival has become pride of Bacolod City and is now a World Class Festival of the Philippines. 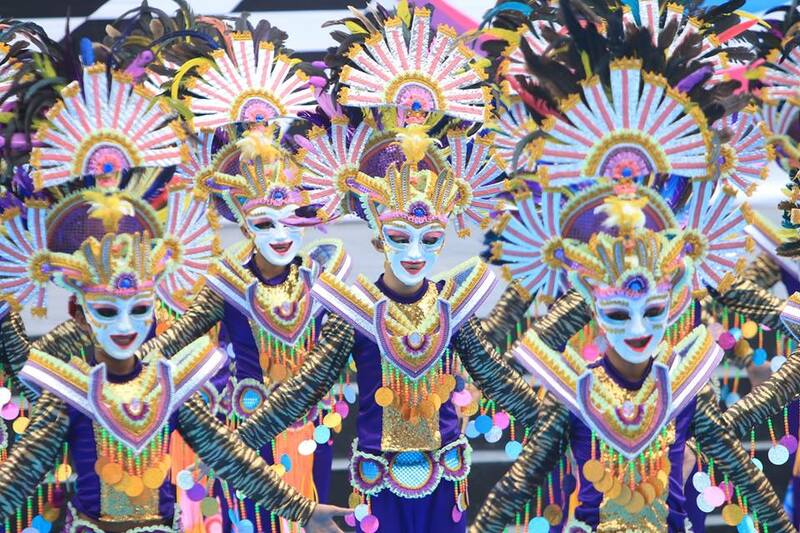 Held in October closest to Bacolod’s City’ Charter Day – Oct 19, Masskara Festival dramatizes the steadfast character of the Negrenses and symbolises what the people of Bacolod do best – putting on a happy face and positive energy when confronted with challenges. While the highlight of the festival is on the third week (Oct 11-19 this year), celebrations are actually a month long with many pre-festival activities lined up. Pre-festival activities include shopping malls having mannequins dressed in Masskara costumes, seafood alleys, Masskara nights, motorcycle races, exhibitions, boxing competitions, kite flying competitions, fireworks displays, singing contests, gold competitions to name a few from the long list. A word of caution to those wanting to make the trip next year – make your hotel arrangement at least two to three months in advance. Besides, the 3.1 million residents of Bacolod City and Visayas, they have visitors from all over the world besides locals from other islands of Philippines. Koreans who are many in Philippines, who besides doing business have used the country as their base to study the English language, make up the majority of the revellers besides Japanese and Europeans. Street parties, endless variety of local food, crazy costumes and smiles all around, make the festival it and unforgettable experience. With the beating drums and the festival songs reverberating in the air, you’d have to fight the urge to dance. At least until the best part - the street dance competition, where performers from different towns dance through a battle of showmanship and creativity. Then the street is transformed into a huge dance floor, and everyone's a competitor! The last three days of the festival is when the mayhem begins every afternoon starting at 1pm at the longest street in Bacolod – Lacson Street – declared the Lacson Tourism Strip – which is closed to traffic. Dinnertime is barbecue time and this city means only one thing – chicken insal. This delicious grilled ginger, garlic and lemongrass infused delicacy was conceived here and Bacolod City’s best-loved culinary export. At this point, it is time to resume the revelry at Lacson Street where the Masskara steet party heightens up after sundown. Masks again are the order of the day at the Masskara parade, as brightly-costumed men and women dance and strut in the streets. 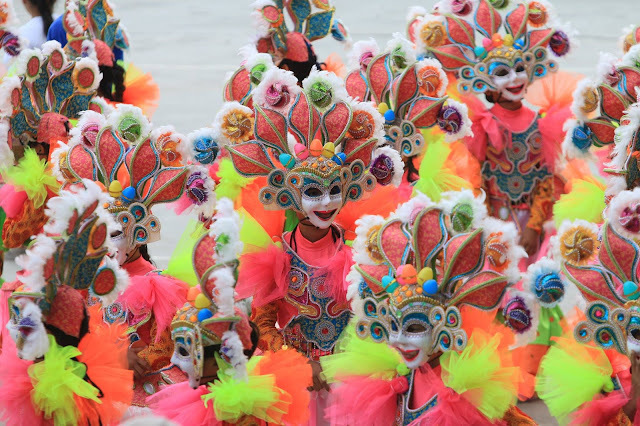 The masks in the history of the festival is constantly changing from masks influenced by native Filipinos which slowly was then influenced by carnival of Venice and Rio. Earlier Masks had feathers, native beads, and masks were hand painted while modern masks feature plastic beads, plastic. It’s a sea of vibrant colours, eclectic patterns, and huge smiles. No festival is complete with a beauty pageant contest which is another highlight in the festivity - of course, the Masskara Queen is the girl with the most beautiful smile, epitomising the spirit of the festival itself. The Electra-Masskara at night is another highlight of the day as the street dancers add colourful lights to their costume and parade. In the afternoon, qualifying rounds for the Masskara festival are held at the Plaza in downtown Bacolod. On the final day, on Monday this year, the parade begins at the old stadium - Paglaum Sports Complex and ends in the city in front on the SM Mall – a 5km distance. The 61 Barangays (districts) of Bacolod City represents the communities that make up the total population of this city and symbolizes the diverse subcultures that are unique within each barangay unit. Different strokes for different folks, is clearly seen that in each barangay circle is found in distinction from among the rest. In fact every group is represented is represented in the parade on the final day - civic associations, commercial establishments, schools, even private and government organisations. They march out in excited crowd wearing their painted masks and elaborate costumes, all vying for prizes in judging that will be held. Floats too make the parade. This year, defending champions, the dancers from Granada Barangay (below), emerged champions again. I was in Bacolod for a week and not a day went out excitement, festivity, colour, food galore, party and of course the smiles everywhere. This annual festival, which has become one of Philippines best known tourist attraction, has been earning raves both from local and foreign tourists. Indeed it is a festival not to be missed and rest assured that it will etch memories which you cherish for a lifetime. It is believed that Negros was once part of a greater mass of land but was cut off either by what geologist call a continental drift or by rising waters during the so –called glacial-age. Among its earliest inhabitants were dark-skinned natives belonging to the Negrito ethnic group with their unique culture. Thus, the Spaniards called the land ‘Negros’ after the back natives whom they saw when they first came to the island in 1565. How it became the Sugar Capital of the Philippines? The major boom to the province at the latter half of the 19th century was the widespread cultivation of sugarcane introduced by the Spaniards and the opening of ports like those of Iloilo and Cebu to foreign commerce in 1856.